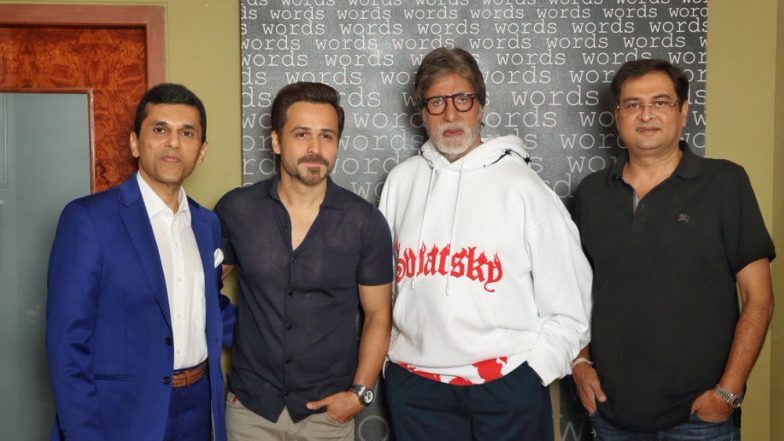 Amitabh Bachchan and Emraan Hashmi have been roped in for Anand Pandit's next, which is yet to be titled but Big B had confirmed the news a couple of days ago on Twitter film and shared the release date as well. The film will be a courtroom drama and sharing details about the same, the actor had tweeted saying, A long-standing commitment, now being fulfilled .. finally, to be a part of @anandpandit63's next production, starring @emraanhashmi and directed by #RumiJaffery. Releasing on 21st February 2020. @apmpictures #APMP. "The film is now all set to go on the floors and the makers even held a pooja for the same. Well, we are definitely excited to see this combination of Amitabh Bachchan and Emraan Hashmi together in a film. The film also stars other talented actors such as Annu Kapoor and Saurabh Shukla in key roles.